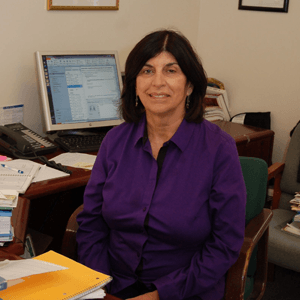 Paula has a BA in Politics from St. Anselm College as well as considerable development and administration experience working with non-profit organizations including: the Muscular Dystrophy Association, Community Enterprises, Inc. and Citizens Energy Corporation. Prior to joining the staff at Interfaith, Paula spent over 3 years as the Director of Development at HomeStart, Inc. in Boston. 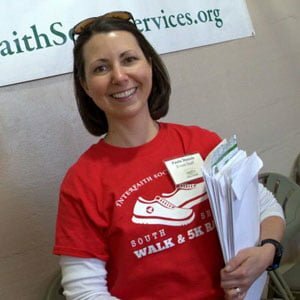 Paula’s responsibilities include recruiting new volunteers and managing the 300+ volunteers who work within Interfaith’s various programs. She manages Interfaith’s client database and helps to coordinate all fundraising events and campaigns. Responsible for the oversight of Interfaith’s Pantry Shelf, Career Closet, Harvest Helpers and Learning Pantry programs. A passion for social justice issues permeates Eileen’s life. She has been involved with many different nonprofit organizations conducting advocacy and outreach efforts around such issues as: domestic violence, marriage equality, adoptee rights and the National Mental Health Alliance. Throughout all of her volunteer experiences hunger insecurity has been one that she is most passionate about. For years she has volunteered at local food pantries and soup kitchens here in Massachusetts as well as in Maine and New York. Outside of volunteering Eileen has had a diversity of career experiences from being a senior litigation paralegal to an insurance industry claims adjuster. Most recently she was employed as the Community Engagement Manager for the Greater Boston Food Bank. She is a very proud mother of two talented sons and grandmother of a cherished grandson. Eileen studied Art Education at The University at Buffalo, State University of New York. She is a landscape painter affiliated with the Artists Group of Charlestown, MA – Stove Factory Gallery. 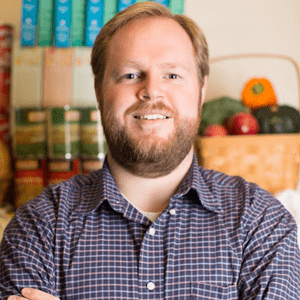 Geoff was born and raised in Massachusetts and is trained as a professional chef. 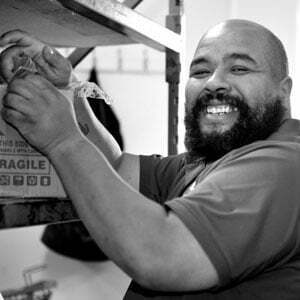 He met his wife while working at a theater in New York and moved to Quincy after graduating from the Culinary Academy of New York. Geoff is currently a student at Eastern Nazarene College, where he studies business management. He’s a big Boston sports fan and likes to cook and read in his free time. He and his wife have two daughters. Claire received a Master of Education in Mental Health Counseling from the University of Massachusetts; Certificate of Clinical Specialty in Mental Health Services to Infants and Families from New England Medical Center and a B.A. in Early Childhood and Family Intervention from Emmanuel College. She worked as a registered nurse at South Shore Hospital for many years and still works in the Hospital’s Postpartum, Depression and Pregnancy Loss Program, facilitating groups. In addition to being a registered nurse Claire is a licensed mental health clinician. 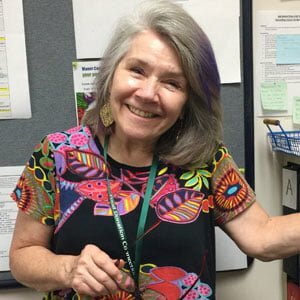 She came to Interfaith Social Services in 1998 and is responsible for all counseling coordination, client intake, referrals to clinicians, maintenance of a client database, and oversight for Interfaith’s seven fee-for-service counselors. She is Interfaith’s liaison to many regional community agencies, hospitals, clinics, physicians, work programs and the Massachusetts Department of Social Services. Claire also recently served on the Coastal Region Board for The State of Massachusetts’ Department of Children and Families, charged with protecting children from abuse and neglect and strengthening families. 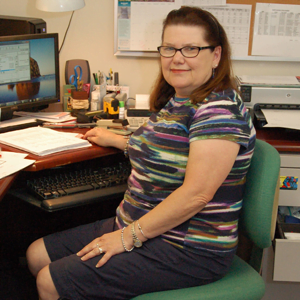 Beverly has over three decades of bookkeeping experience for large and midsized organizations throughout the South Shore region. Since 1995 she has overseen Interfaith’s business office and facility operations. She works closely with the Executive Director and Treasurer to make sure that all donations to Interfaith are handled with the utmost sense of stewardship and responsibility. 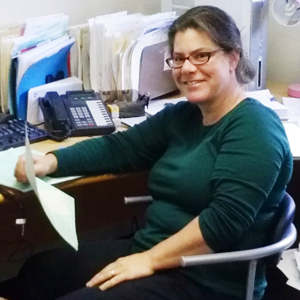 Michelle oversees HomeSafe, Interfaith’s emergency assistance and homelessness prevention program. Michelle received her J.D. from Loyola Law School and B.A. in International Studies from Colby College in Waterville, ME. A native of Massachusetts, Michelle worked for a number of organizations in California before immigrating back to the Bay State. She was the Foreclosure Program Manager at Legal Services of Northern California, Senior Legal Hotline. She clerked at Legal Aid Foundation of Los Angeles and Los Angeles Center for Law and Justice. Her experiences with housing law, the eviction process, foreclosure, and homelessness prevention uniquely qualify her to help Interfaith’s clients. Jennifer was born and raised in Tampa, FL, but quickly escaped the tropical heat after graduating from the University of Florida (Go Gators!). Her professional background is in digital journalism and she has worked at media outlets in North Carolina, Colorado, Connecticut and Massachusetts. 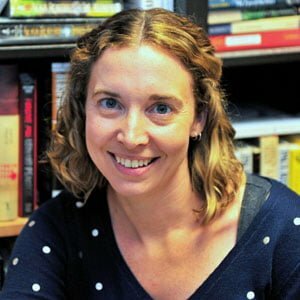 She spent several years leading the online operations at newspapers. She most recently served as an editor at Boston Parents Paper magazine. Her volunteer experience covers a wide spectrum, from training sea lions at the Mystic Aquarium to running a large, local online moms group. Jennifer serves on the board of Adams Montessori School and chairs their annual gala. Previous to her employment, she was one of Interfaith’s amazing food pantry volunteers. Jennifer lives in Quincy with her husband and son and loves to read, cook, garden and travel.